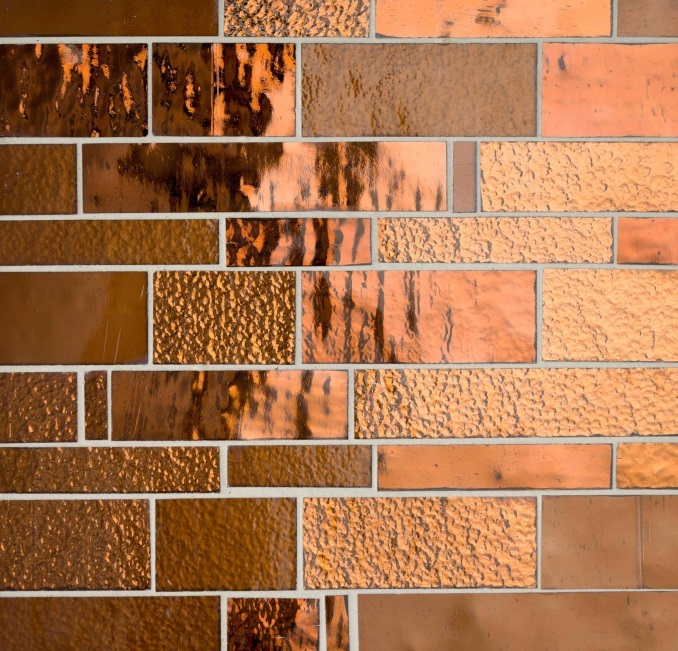 A new hand-crafted glass mosaic design, from Italian tilemaker Trend, has been shortlisted in the Residential Product category of this year’s SBID International Design Awards. The Trend Metropolitan Collection has been selected as one of the qualifying products by a technical panel of judges in the first stage of the process. The public are now invited to cast their votes for their favourite entries at www.sbidawards.com, which will count towards the final results. SBID has firmly established this annual occasion as one of the most prestigious recognitions of design excellence in the interior design industry. With a 15% increase in entries from over 30 countries across the globe, SBID President, Vanessa Brady OBE said: ‘Quality projects from around the world at every scale and price-point continue to represent our ethos; that design is a discipline that requires training, trading standards, a shared financial conduct and unity, then it truly is celebrated… SBID are dedicated to acknowledging excellence at every level and our awards serve as the finest way to celebrate this commitment’. Recently joining the highly acclaimed Liberty ‘designer’ mosaic among the flagship ranges of the Trend tile catalogue, the Metropolitan Collection features the same alternation of smooth and undulating pieces and distinctive light reflecting characteristics in nine stylish colourways, including metallic, slate and naturalistic tones. It is made using up to 75% post-consumer recycled glass, in line with Trend’s policy of reducing its environmental footprint. Inspired by the undulating tracks of the metro, Trend Metropolis features distinct glass mosaic rectangles in various widths and depths, resulting in a textured composition that plays with light and produces a highly original aesthetic finish, both classic and contemporary. It can be installed as a horizontal pattern, or vertically to create an unusual perpendicular geometry. The deep fold lines within the body of the tiles add to the visual complexity and are introduced when the glass is formed by hand into large sheets, then exaggerated during the tempering process. The nine colourways are Honey, Amber, Pearl, Diamond, Bronzite, Noir, Onyx, Opal and Buxy, the latter taking its name from a village in Burgundy renowned for the beauty of its local stone. The design award winners will be announced at the SBID International Design Awards Ceremony, held at The Dorchester hotel in London on Friday 14 November 2014. The full line-up of judges for this year’s awards will include: Kevin Mau, Senior Creative Director at The Boeing Company; Ben McOwen Wilson, Director of Content Partnerships at YouTube; Jane Preston, Facilities Manager UK, Real Estate & Workplace Services at Google; David Lewis, Managing Director of Sunseeker London; Christopher Jenner, Creative Director at Eurostar; John Mathers, CEO of the Design Council; Mathew Dalby, Design Director at yoo; Carolina Calzada, Managing Director at Global Color Research; Patrick Taylor, Managing Director of Taylist Media; Katharine Pooley, Founder & Managing Director of Katharine Pooley Ltd; Theresa Dowling, Editor and Group Editorial Director for Progressive Market Intelligence design titles. All of the winners and finalists will be featured in The SBID International Design Excellence Awards Book 2014 coffee table book.